To say that these two were incredible to work with was an understatement! Karen & Zach are the sweetest couple and they are so in love! It was an absolute JOY to be able to photograph them. Karen shared with us how they met: "We met on Match.com and every step was really exciting! The first time we met in person there was an instant connection. It's been a year, traveling, sharing experiences, getting to know our families, and enjoying every single moment together. We went to Niagara Falls where he proposed in the most romantic and special way. It was like a dream! He asked someone to take a picture of us with the falls behind us and suddenly he went on his knees. I started crying because I did not have any idea and everything got captured in camera." Because they know how important it is to have professional pictures created for their forever memories, we were honored they chose us! We started the photo session at Union Depot, in lowertown St. Paul. and had so much fun exploring several areas outside. It was a gorgeous 85 degree day in Minnesota - NOW that is something to celebrate in and of itself. We found a glorious tunnel. How fitting that there was a bright light at the end. We have no doubt that great things are ahead for these two! They just purchased their first home together in Little Canada, MN, so we would say that is a fantastic start! Stolen moments away from the crowds at Union Depot, right by the escalators. Unbelievable light filters through this hallway, so it was the perfect place for Zach & Karen to find extra time together for moments of reflection. Zach is an avid baseball player (Pitcher in college), so we made sure to stop by CHS Field, where the St. Paul Saints play, and are owned by Actor/Producer Bill Murray. 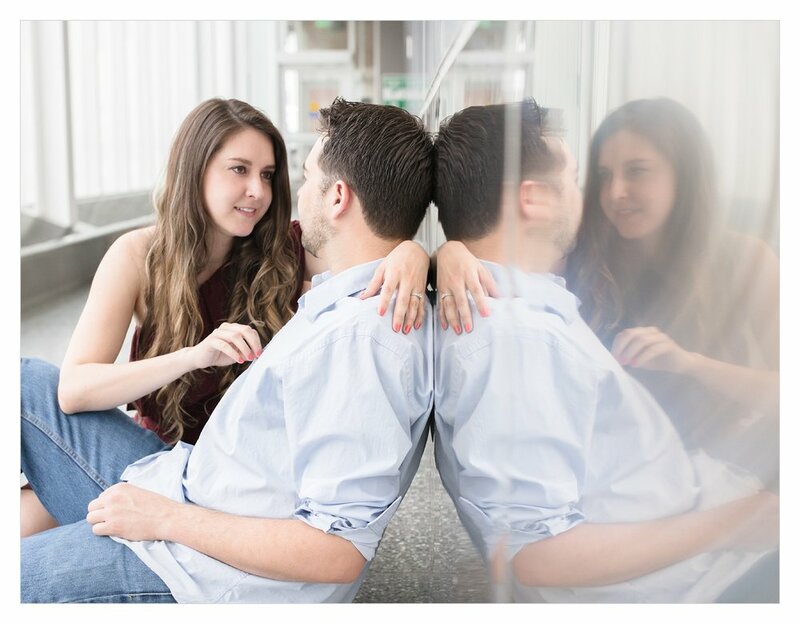 Thank you for letting us share Zach & Karen's engagement session with you. 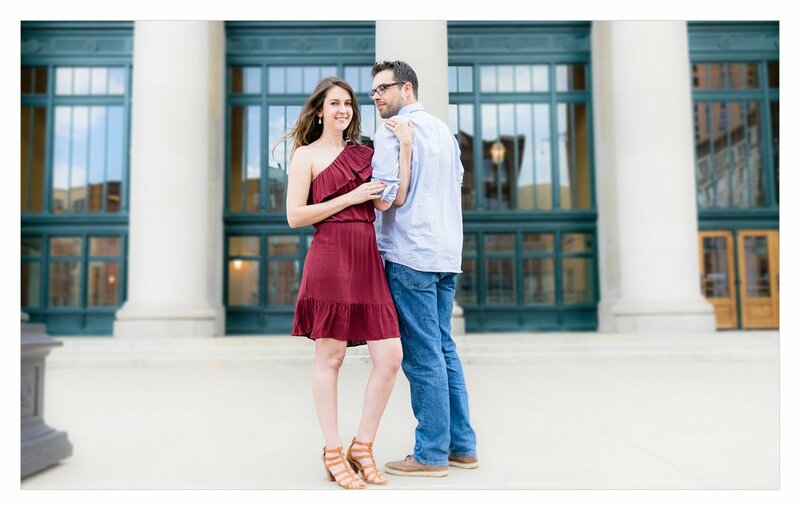 We can't wait to show you their wedding pictures in June! WE LOVE OUR CLIENTS!! So if you are planning on getting married, click the button below to learn more . . .